Coming from the busy bustling life of Mumbai, my visit to the Navjyoti India Foundation and India Vision Foundation was an eye opener and a surreal experience. Both these organizations founded by Ms. Kiran Bedi focus on educating rural folk and prison inmates respectively. 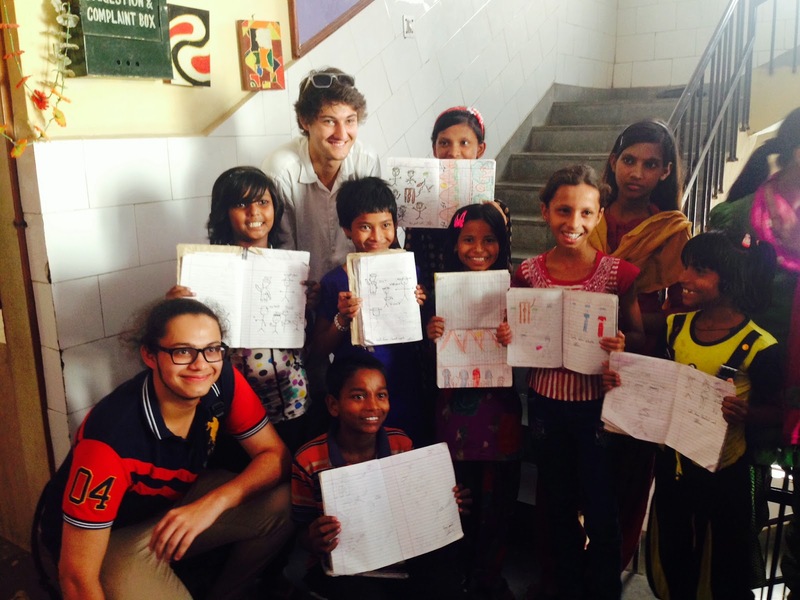 Located on the outskirts of New Delhi, Bawana is a small rural village that houses the Navjyoti India Foundation. On the first day of the International Award for Young People, we had a healthy discussion with Mr. Sunny Nagpal and Mrs. Vaishali about the aim and vision of the trust. We made a schedule of the next ten days and divided ourselves into groups of two. The Navjyoti India Foundation had adopted certain centres in the village to promote academic learning. 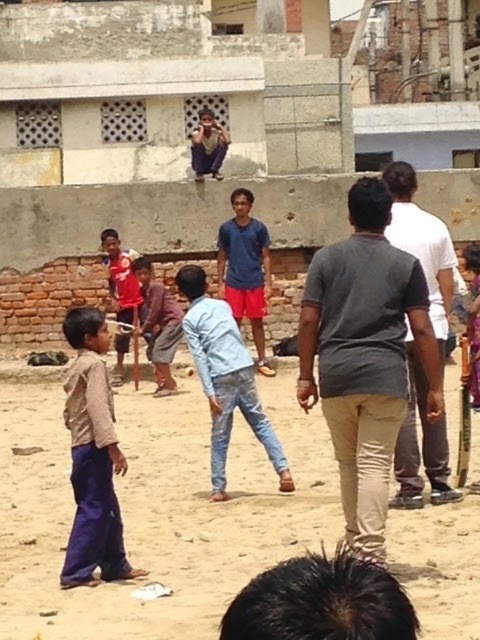 We taught science, math, English, Hindi and various sports to the children. During my time there, I was amazed by the enthusiasm of the children. Our lectures included math -- Roman numerals, tables , even and odd numbers; science -- recognition of basic animals, pollution, gravity; English and Hindi -- the alphabet, words and sentence construction; sports -- making a rulebook for cricket. I was astounded when I asked a girl what she does at home, and she replied, "I go to other people's houses and teach them what I learn during the day." Through this medium, the children spread knowledge across the village. We also understood that some of them had problems with the basic concepts and so gave them some extra time and taught these concepts again. The main highlight was a cricket tournament that was organized by us. We divided both boys and girls in four teams, with each team having two SIS students. We first taught our teammates the proper batting stances, bowling techniques and catching practice. Everyone was very excited and gave their best and Palash's and Rohan's team won the tournament. After so much interaction with the kids we had formed a special bond with them. And the icing on the cake was our last day visit to the Bhondsi Jail, Gurgaon. It was here that we saw how India Vision Foundation works. They teach arts and crafts to the children of the women inmates who are too young and stay with their mothers. For men, they have computers too. The men inmates performed a dance for us and then we also joined them later for a few steps. This is done so that they don't remain idle and once they are released, their minds aren't distracted. I was very impressed by their methods of teaching and their approach for achieving their aims. This Residential Project under International Award for Young People made me appreciate the privileges I enjoy. The NIF and IVF model is revolutionary, something that can be replicated easily. The children I came across were curious to learn and eager to imbibe knowledge. The process of upliftment is slow; it would take generations for rural children to overcome their circumstances. My time at NIF and IVF also taught me a lot about myself and will always stay with me for life! 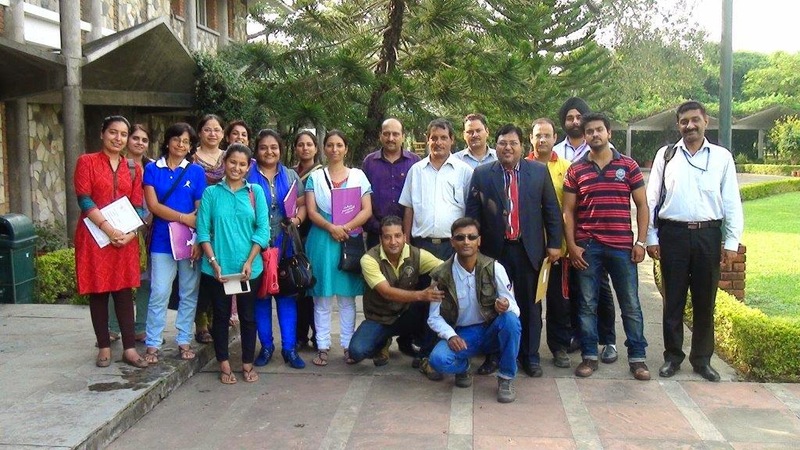 The National Award Authority organized a National Award Leader Training Workshop at Selaqui International School, Dehra Dun on September 19-20, 2014. The sessions coveredthe four pillars of the Award i.e. Physical Recreation, Skills, Service & Adventurous Journey, Residential Project, Award Branding and Safety issues were conducted by Kapil Bhalla, National Director; Bivujit Mukhoty, Programme Manager and Priyank Kumar Gupta, member National Training Panel. As I sit here typing out this article on my laptop, I plug in my charger and switch on the light. I mindlessly use what is luxury to many in most parts of India- Electricity. This other side of India is almost unheard of, forgotten both intentionally and accidentally. This other side is what forms the backbone of the Indian economy. And yet any plans of development are discarded into the shredder. As a result, today many Indian villages are deprived of the most basic amenities. In pursuit of making a change through the International Award for Young People programme, the students of Singapore International School (Grade 11) decide to do reach out and teach ourselves the way to look at the world differently. Last year, the students from SIS had built a water pipeline for the Konda village. This time around, after much discussion and deliberation, the students decided to light up the lives of the villagers of Irshalwadi. 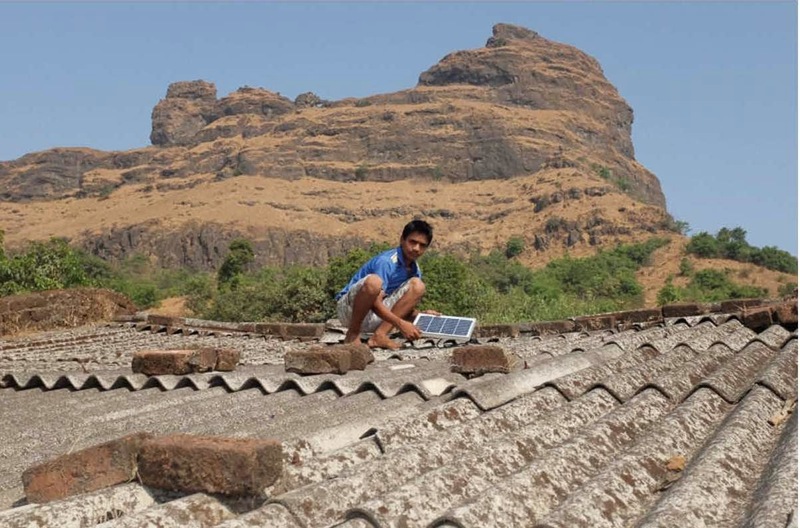 Hence, Grade-11 students trekked to the village of Irshalwadi located near Prabalgad and Matheran to collaborate with the villagers install solar panels. Located about 3700 feet above sea level, the village of Irshalwadi faces daily challenges in terms of electricity, water and transport. 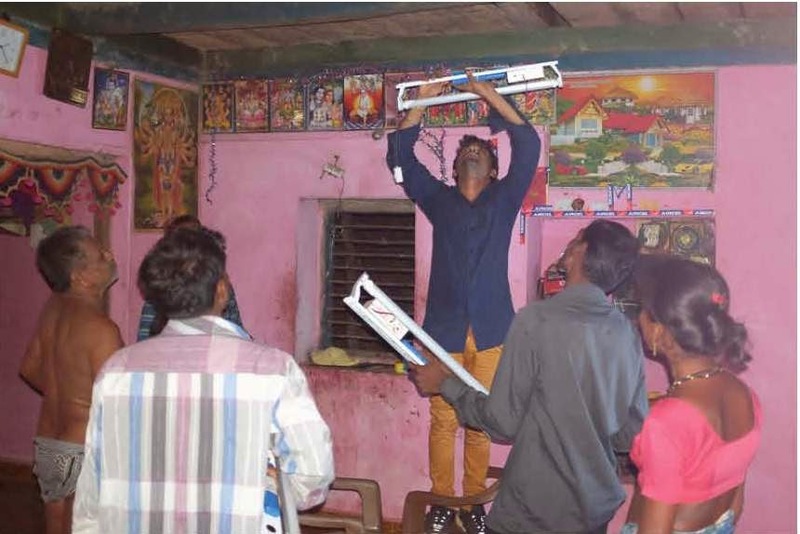 In a quest to minimise these difficulties, students of SIS assisted the villagers in illuminating every home, hence bringing light to over forty families. During the course of this visit, our interactions and conversations with these villagers gave us an insight into their lives and instilled in us respect for them thanks to their amazing resilience. As each day drew to a close, both the villagers and the students had more lights to switch off before retiring for the day. And by the end of our stay, torches were of no use, every home in the village blazed of bright white light. In this five-day expedition, the students were divided in three groups: cooking, solar panel installation and reservoir construction. While the solar panel installation group went around inserting solar panels atop each roof, the reservoir construction group built an embankment and lined it with bricks and stones to form a drinking water accumulation site near the fresh water spring.After a week of immense hard work, effortless collaboration and living with the most basic facilities, every home boasted of a light source and the village finally had a clean water reservoir. As the project came to a finish, both the students and villagers were filled with joy and pride at what they had finally accomplished. We took part in the adventure of knowing and understanding the rubric of combined efforts and hard work. Today, the village of Irshalwadi shines at the darkest of times. Now, every child can study in the dark, men can work into the night and dinner can be cooked easily. This expedition compelled us to retrospect and analyze the sheer magnitude and importance of what we had just accomplished. The implementation of community service has the capacity to transform an entire nation. Why not my nation? Every blazing fire needs a tiny spark to begin with or to initiate. And we had done just that by lighting up portions of the village of Irshalwadi. All reforms begin with what seems like to be a trivial change.And we’ve got several people to thank for the opportunity to trigger this seemingly insignificant but a significant drop in the ocean. Hence, I would like to thank the Head of School Mrs. Sharonee Mullick, Project Coordinator Mr. Uday Verma and Round Square Coordinator Mrs. Shibani Das for encouraging us to tap our inner reserves and understand the joy of collaborating. Taking part as an agent of change, for that one light, in this one life and taking one abode at a time. The National Award Authority organized a National Award Leader Training Workshop at Singapore International School, Mumbai on September 12-13, 2014. Different sessions of the workshop including the four pillars of the Award i.e. Physical Recreation, Skills, Service & Adventurous Journey, Residential Project, Award Branding and Safety hassles were taken by Mr. Kapil Bhalla, National Director, NAA; Mr. Bivujit Mukhoty, Programme Manager and other National Training Panel members Ms. Pratibha Kumari Singh and Mr. Chetan Sharma. The workshop was attended by twenty-three participants from International School, Aambey; BK Birla Centre for Education, Pune; Sanjeewan Vidyalaya, Panchgani; Life of Light Trust, Mumbai; Bombay Cembridge School, Mumbai; Indus International School, Pune; Symbiosis International School; Pune and also from the host school Singapore International School. The workshop completion certificate was given to the twenty-three participants by Head of Singapore International School Mrs. Sharonee Mullick, which now declared each one of them to be part of our family in the form of Award Leaders. India has always been a country bestowed with many literary geniuses, either using their words to give face to their imagination or even fighting for what is right. Our culture and history gives a platform for our writers that is scarcely available anywhere else in the world. On that note meet Gold Award participant Lokdeep Teekas, a Masters student in Biological Science with a passion for languages and hobby that helps him do magic on a white sheet of paper. Hindi language runs through the veins of our country but it is soon becoming a language only spoken in homes or a poor man's language, Lokdeep is doing his share to show the beauty of the language by writing poems and posts in Hindi as skills for his International Award for Young People. 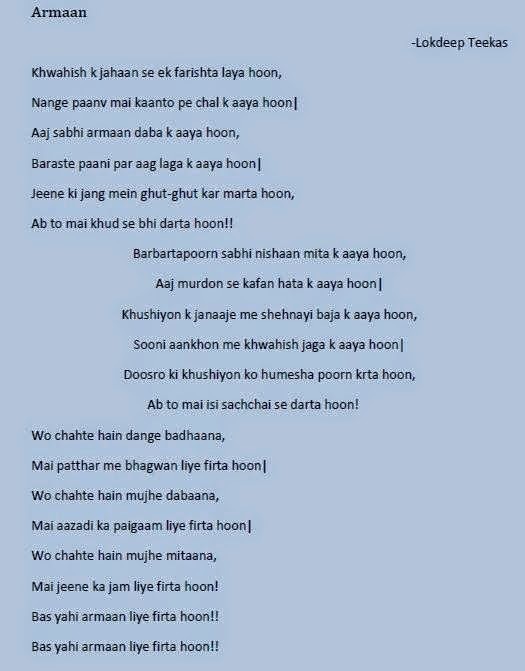 Below is one of the poem from his collection, rest of them can be read on his blog at http://lokteekas.blogspot.in/. 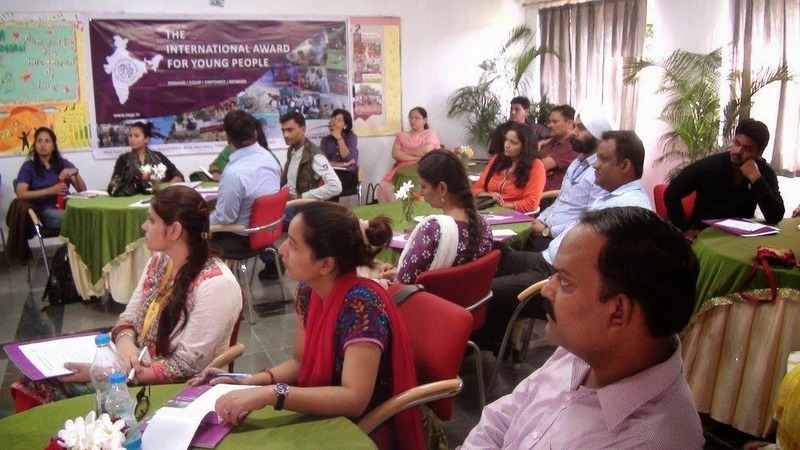 The National Award Authority (NAA) organized an Award Leader Training Workshop (YES Workshop) at Award Training Centre, New Delhi on 27-28 August, 2014. Eleven participants from six different institutions including our new Skills Partner Learning Unlimited participated in the workshop. Ice breaking session was the curtain raiser to the workshop; it was led by National Director Kapil Bhalla who also gave an introduction to the Award. The next session was led by Bivujit Mukhoty (Programme Manager) who shared details related to the Award philosophy and Award framework. Then Mr. Bhalla delivered a session on one of the four pillars of the programme i.e. Service, he started the session with an activity which helped participants feel the importance of this section. The post lunch session was devoted to Skills and Adventurous Journey sections, which were led by Bivujit Mukhoty. Kapil Bhalla also led a session on volunteering which is considered an integral part of the programme. The day ended with the screening of the IAYP India movie, "Why Not You?". The second day started with the last pillar of the Award i.e. Physical Recreation. The session began with some on-the-spot physical activities and then moved onto the requirements and importance of Physical Recreation. This was followed by the Residential Project which is part of the Gold Award programme. Some details regarding the technical aspect of the Award such as risk management were also discussed. The penultimate session was on the Web Resources and Online Record Book (ORB) which was led by Priyank Gupta, Head IT & ORB. This session was about details regarding International Award for Young People website and the presence of the Indian Award at different social media platform. Priyank Gupta also talked about one of our new innovations related to the programme, the Online Record Book (ORB). He shared details on ORB process and the rollout plan for ORB. The final session of the workshop was taken by our Programme Manager who discussed the importance of branding and risk management in the smooth running of the Award. The workshop concluded with an appreciation note from Kapil Bhalla followed by certificate presentation to our new Award leaders. International Award for Young People team visited four schools in Haryana running as Special Projects in collaboration with JCB India. The four schools included Govt. Senior Secondary School, Jharsaintly, Govt. High School, Khandawali, Govt. High School, Deoli & Govt. High School, Bhagola. The motive behind these regular visits to the Special Project schools is to motive the Award participants as well as prospective participants. The visit included introducing the programme to the students of the schools and talking about the benefits of the programme. Bivujit Mukhoty, Programme Manager introduced Gold Award winner and International Gold Event 2014, Seoul participant Ankit Durga, who shared the benefits of the Award. Ankit also shared his experience of his Award journey and the life after Gold. The IAYP team also constituted of Priyank Gupta, Head IT & ORB for IAYP and also Vimal Kumar, Principal, Govt. High School, Khandawali when the team visited his school. Ms. Neelam Singh, IAYP Coordinator from Lady Bamford Charity Trust, JCB was instrumental in organizing the visit to all four schools. End of the day team managed to have a talk with more than 175 students from the four schools and introduce them to the IAYP Programme.